The history of Double sovereigns can be traced back to 1485 when larger sovereign coins were minted using dies of the standard English sovereign, although not entering circulation they are thought to have been for presentation purposes as piedfort coins. 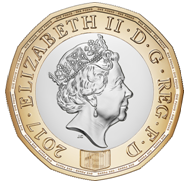 Following the introducing of the new British Sovereign coin in 1817, a special proof Double sovereign was minted in 1820 however like the previous double sovereign it never entered general circulation. In 1887 for Queen Victoria's Golden Jubilee another double sovereign was issued, this time entering circulation for the first time. ^ "The Story of the British Two Pound Coin". 24carat.co.uk. Chard. Retrieved 1 October 2017. ^ Ruding 1819, p. 520. Ruding, Rogers (1819). 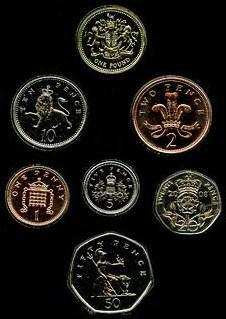 Annals of the Coinage of Britain and Its Dependencies. Lackington, Hughes, Harding, Mavor and Jones.